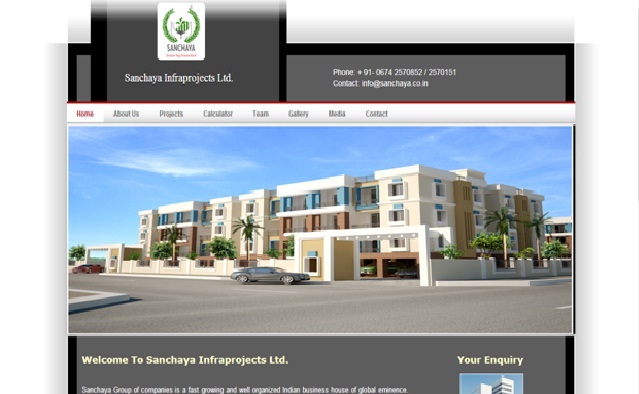 Sanchaya Infraprojects is a leading and well organized real estate business house of global eminence, located at the temple city Bhubaneswar, Odisha. This is a part of Sanchaya group, a diversified segment working for direct marketing, insurance, real estate, franchising and imports. This company makes a big mark for benchmark quality, customer care approach, robust engineering, in house development, best business ethics, timeless values and great transparency in all spheres of business centre. This company also provides affordable housing projects like simplex, duplex, lands, apartments and commercial complexes in the best locations of the state. This project is situated at Bhubaneswar, Odisha with all modern amenities like 24 hours water supply, electricity and security services, open car parking area, children play ground, multi gym and shopping market. This project is a distance of 12kms from Airport, 11kms from Jaydev Vihar, 7.5kms from Ekamrakanan, 7kms from Khandagiri, 2kms from DAV Kalinga Nagar, 1.5kms from Sum Hospital, and 0km from Times College. This project is located at the capital city Bhubaneswar, Odisha. This project provides all the modern facilities with bank loans facilities. This project is located at near to Krupajal Engineering College, Bhubaneswar, Odisha. This project provides all the modern facilities like children play ground, library, gym centre, doctor’s chamber, community hall, jogging track, shopping market, 24 hours security service, electricity and water supply.